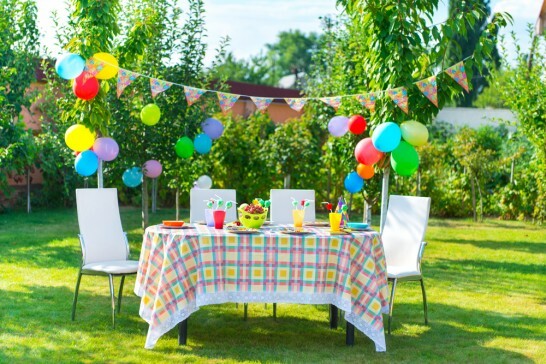 Having a child's yearly birthday celebration does not have to mean spending outrageous amounts. Below are some tips for setting up a cozy yet lively party at your house. 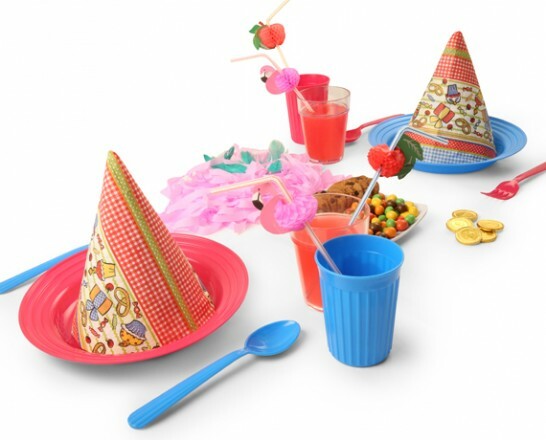 Invite over a few of your kid's close friends and make it a memorable party! Balloons are a simple yet cheap way to instantly liven up the room and party. Blow balloons up (with or without helium) and you can use them anywhere - hung with string and tied to the wall or tied and floating from table centerpieces. You can even leave a few on the floor all over the room. Set the table with colorful plates from our Orbits Series to get the party mood started. Our ONYX Orbits Series comes in 4 colors: Tangerine Orange, Lime Green, Bright Fuchsia and Sky Blue. It comes in different sizes for the bowls, plates, and cups. You can place the plates and utensils in alternating colors - ie. fuchsia plates with blue utensils around, then blue plates with fuchsia plates and repeat this pattern. Chips and dips are always a crowd pleaser and always help fill the table. 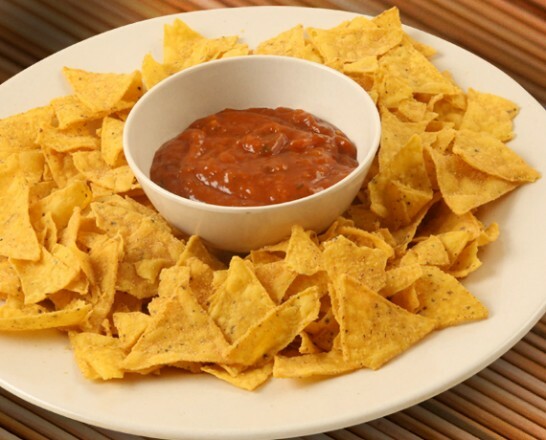 The classic would be to go with Nacho chips and Salsa or Cheese dressing. If you have some extra time on your hands, you could even mix together a bowl of guacamole. Our ONYX 14" Round Plate made from 100% melamine is great for serving chips, along with our 4.5" Bowl for the sauce. 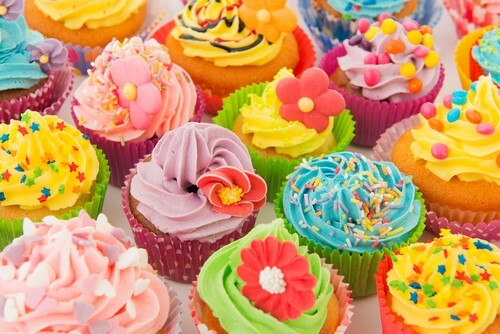 Cupcakes: A smile with frosting on it. It's true that cupcakes have been all the rage, but there is no denying that they taste as good as they look. Let the layers of chocolate ganache, soft peppermint candy topping or crisp carrot cake macadamia topping blow your party-goers minds away! We recommend the following flavors: Chocolate Fudge Cupcakes, Red Velvet Cupcakes, Choc Peanut Butter Cupcakes, Salted Caramel Cupcakes. Party pins: Have children layer items (crepe paper, feathers, stars, ribbons) on a cardboard square. Stick to shirt with double-sided tape. Napkin crafts: Cut napkins into simple, fun shapes (hearts, flowers, fish). Supply buttons and markers to decorate with. 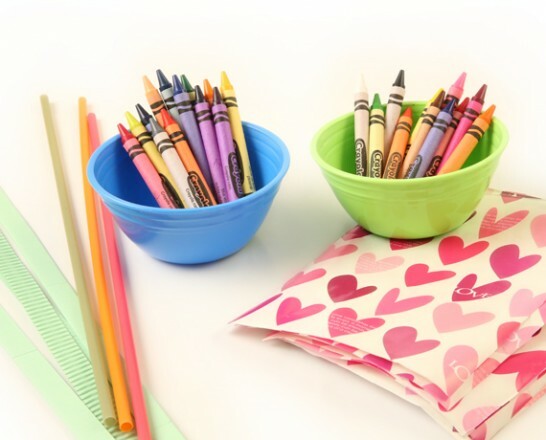 Supply all the kid's favorite snacks in our ONYX Canister Series. With its transparent sides, you can see all the delicious foods right through, whether it be popcorn, cookies, or potato chips. 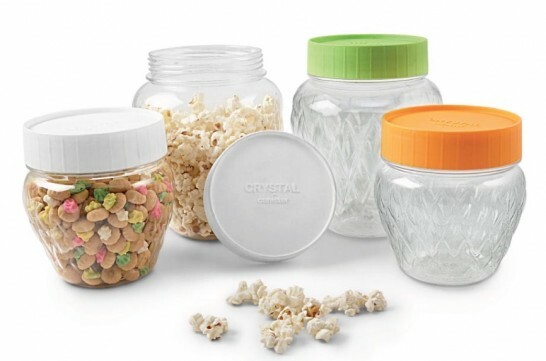 Jars are also airtight and can store food for days and weeks, even when the party is over.